The Maison Martin Margiela windows at H&M Union Square in San Francisco. Photo by Alexandra Thurmond. 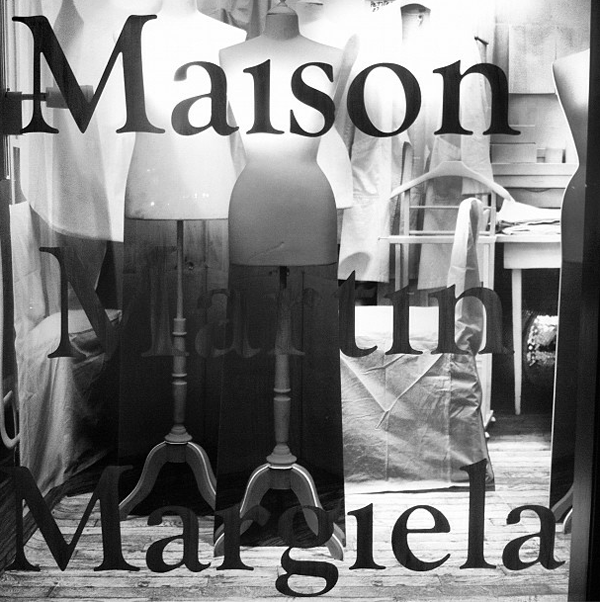 TODAY finally marks the long-awaited arrival of the Maison Martin Margiela collaboration with H&M. You’ve probably seen images leaked over the internet, or have already planned your Market Street campout outside the store. If by chance you need to be caught up to speed: The progressive collection for men and women is ultra-modern and marks a first in fast-fashion history—each garment is a re-issue of an original avant-garde creation, complete with the iconic Margiela label (three minimalist black and white rows of numbers 0-23) and tagged with the season from which it originated. Fashion fanatics and lovers and contemporary design are in heaven: one-of-kind designer pieces that originally cost thousands can now be yours for H&M prices (well, almost). 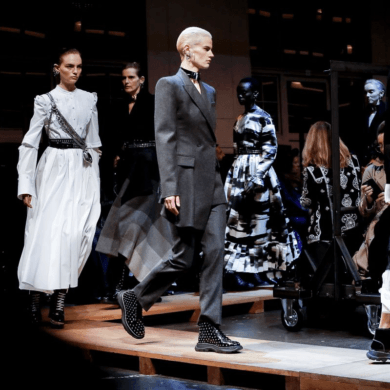 The collection includes famous Margiela garments that have made headlines throughout the brand’s 23-year history: an oversized white duvet coat for women, a jacket made of fused belts for men, and tongue-in-cheek accessories typical of the Maison. Think witty pieces for women (a hair lock necklace, an extra large candy wrapper clutch) and exaggerated accoutrements for men (an extended belt or an oversized fanny back). 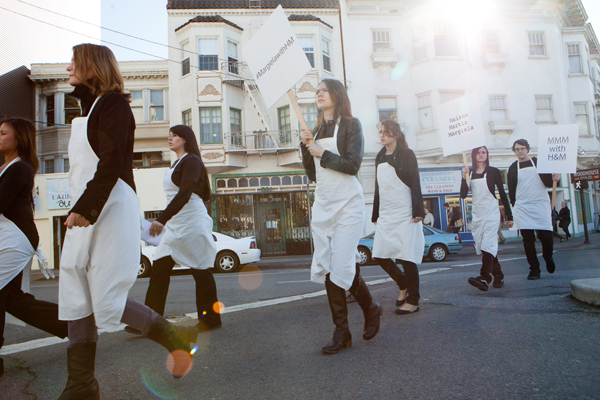 The silent march through San Francisco. Photo by Anna-Alexia Basile. The collection is intended to represent an overview of Maison Martin Margiela’s design aesthetic and house history, showcasing the creative techniques that brought Margiela to fame. Operating outside the framework of traditional fashion, patterns have been deconstructed and morphed into modified shapes and reinvented proportions – including a dress with two different hemlines, a skirt fused with pants, and a handbag crafted out of a leather glove. 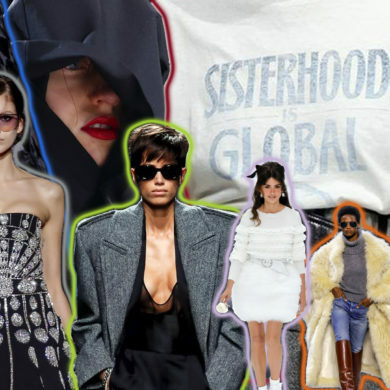 Excitement for the collection has been building on the Internet for months and culminated in a global “silent march” to celebrate the debut of high fashion and design for the masses. Be sure to get over to H&M to buy your piece of fashion history and be warned: this collection will go fast.